Abigail is in grade 1 at Grace and Knowledge Academy and her favorite subject is counting numbers. She lives with both of her parents, who struggle to provide. Sponsor Abigail today for $40 a month! The Grace & Knowledge Academy is transforming individual lives and the community—and you have the chance to be a part of it! By sponsoring a child you provide the tools needed to break the cycle of poverty. 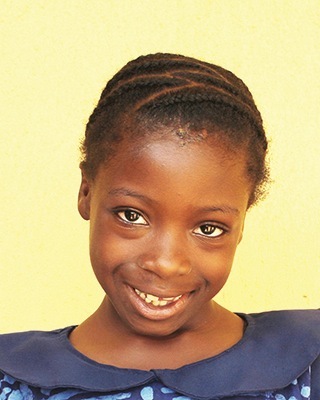 Your sponsorship guarantees Abigail a place at the Grace & Knowledge Academy, hot lunches, a uniform, a new pair of shoes, regular health checks and the chance to hear about Christ's love.